A student enjoys being part of the classroom. Mainstreaming special education students can benefit their learning, but it must be done carefully in order to be successful. Special education teachers should meet with general education teachers to plan ahead, maintain ongoing communication and monitor students' progress regularly. These steps greatly increase the chance for successful mainstreaming that benefits all students. Though it may seem daunting at first, the benefits of mainstreaming are well worth the effort. Educators have long known the benefits of inclusion for special education students. Lev Vygotsky's constructivist theory of the More Knowledgable Other states that in order for special education students to grow academically as well as socially, they need to spend time with other children their age. Besides providing special education students with a more stimulating academic and social environment, the Individuals with Disabilities Education Act states that students must be provided an education in the "least restrictive environment," often determined to be the regular classroom. The first step in mainstreaming special education students is for the special education teacher to meet with the general education teachers. 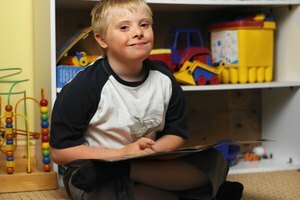 After learning about the procedures and expectations in the various general education classrooms, special education teachers can share information about the student to be mainstreamed. Together, the teachers can decide which classrooms are best suited to begin the mainstreaming effort. Often, it is easiest to start with classes such as art or music, particularly with students whose reading and writing skills lag behind that of their general classroom peers. The students in the general education classes should be prepared ahead of time for their new classmate. This will provide an opportunity for teachers to share behavior expectations and answer any questions students may have. Together, the special education teacher and general education teacher should decide what accommodations and modifications the student will receive. 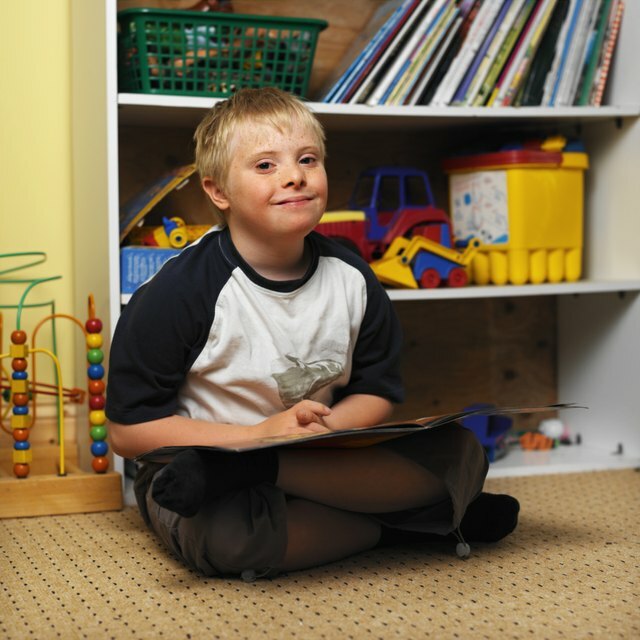 Accommodations are changes in how instruction is delivered to the special education student, such as providing an audio recording of a lecture or assigned reading. Modifications are changes to the actual curriculum, such as requiring a simpler level of writing from the special education student, in line with her abilities. The special education teacher should maintain regular communication with the general education teachers so they can troubleshoot any difficulties with mainstreaming. In some cases, a student's classes may need to be switched to find the best fit. For example, a student with autism may find the noise of music class upsetting, but enjoy the quiet atmosphere of the art room. Special education teachers can maximize chances for success by providing the student and general education teachers with the support they need, such as a paraprofessional or a teacher aide in the classroom to help the student. Teamwork is the key to successful mainstreaming. Jenny Lewis has been an educator since 1992 when she earned her masters in teaching. Since then she has taught Spanish, English Language Arts, Social Studies in the diverse schools across the country. She added a Special Education Endorsement in 2010 for her work as an instructional coach. She started blogging about education in 2010. What Knowledge & Skills Are Necessary to Be an Effective Special Educator? Lewis, Jenny. 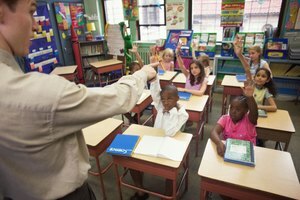 "How do I Mainstream Special Education Students in Public Schools?" Synonym, https://classroom.synonym.com/mainstream-special-education-students-public-schools-7771.html. 26 September 2017.